Getting your products, services and / or yourself, found on the internet involves many a things. 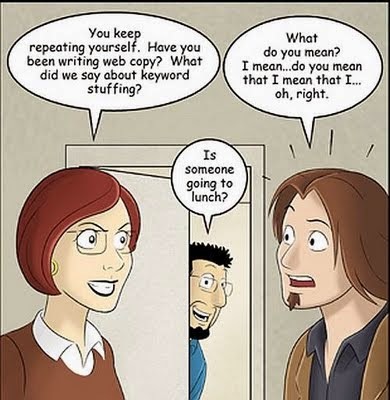 The most important of them all, and something that's an integral part of almost everything, however, is keywords. While we run around implementing everything in Digital Marketing to get discovered and then to convert to sales, what plays a key role, directly or indirectly, in almost all that we do, is keywords. And as we get more and more involved in operations or in doing of things, we at times, start taking keywords for granted and give it lesser and lesser attention. In actuality that's the first and most important thing we should do, and review it all the time. 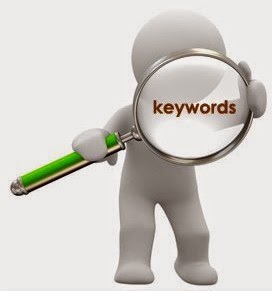 Why are keywords so important? Well! the answer is simple. Whether we are selling a product on an e-commerce site, or a service on our own website, or driving traffic to our blog or social media page our first objective is to get found. As I had said in my earlier blog on "How tosell your Products online", - "Jo dikhta hai woh bikta hai" (what is seen, sells). And to sell - think of all that we do - SEO or Search Engine Optimization - keywords play a key role here, SEM or Search Engine Marketing - and Keywords play a vital part, social media marketing and keywords play an important role, blog, display, landing pages, etc - Keywords are important everywhere. Start with the basics. My suggestion hence, is to start with making a simple list of keywords related to your product or service or whatever it is that you want to drive traffic to. Of course, here am assuming that have first defined your target audience and your intended goal. Then start by making a list of words or terms related to your product or service. And do this with the target audience in mind. What problem are you solving for them, what product or service they would search for and what words are they likely to use that relates to your solution, and use those. At the very top should be the most important and most likely used words to describe what you are offering. Next would be a phrase that they would search for and where your solution is relevant. And then would come the rarely used words or combination of words. Also include misspellings if that's likely to happen specially with brand names and the likes. Once you have your list ready, then start using the main keywords in your content (website, blog, product title and description etc etc). When using keywords in content, do not overuse the same keywords over and over again, keep it relevant and easy to read. While having the main keywords in the content is important it should not make it difficult to read and should not seem like you are writing for the sake of stuffing keywords. Then whatever you do next in your Digital Marketing efforts, make sure your keywords are part of the implementation. Use them on landing pages, in your blogs, in your links, your social media posts and everywhere relevant. So now when you are deciding on the Video creative, title and description, or your display ads or your text ads or anything else that you may do, think from the keywords perspective, see how you can use them. Once done, study response, see your analytics and see what keywords are working for you, where, and go refine the list again and modify the use accordingly everywhere. You will see some keywords work better on some platforms and others elsewhere. That will help you get a better understanding of how your product / service relates to an audience on a particular platform. It will give you insights that you can use next time. There is a lot more to write here in terms of tools and specific platform related keyword nuances plus systems and processes to follow. Will cover some of that in another post at another time. For now, get started on your keyword strategy and you will see performance of all your Digital Marketing efforts improve. If I have missed out anything relevant here or you have your own experience and learning on this, please do comment and share with everyone. Thanks for the information provided in this blog as it has been very helpful to what I'm doing with my own works. Appreciate your blog very much. Glad it was helpful Alin. Thanks for your comments. Start with a free option and then take it from there Tanveer. You seem to be from the field so you would know - make it useful & interesting is all you need to do. Optimization is your field and that is what is important here too. YouTube does not allow you to pick your own thumbnail unless you are a partner. You also cannot pick a background for your channel anymore unless you are a partner, nor can you upload videos above a certain size. Do you have a Mobile Strategy yet?